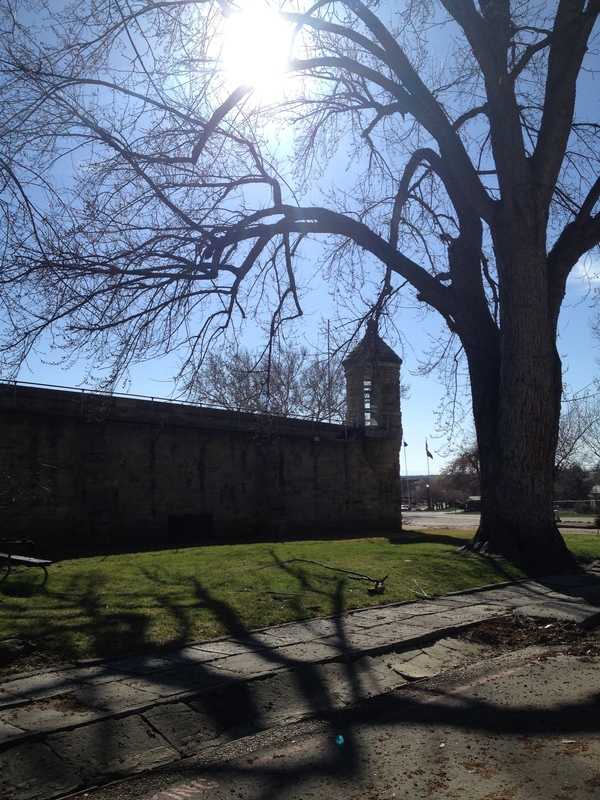 Discovering Boise: Old Idaho Penitentiary | Oh, the Places We See . . .
← Boise Fry Company: Fries with burgers on the side! It was almost closing time at the Old Idaho Penitentiary when I arrived in Boise after working in Idaho City, but this landmark I’d seen from the Idaho Botanical Gardens next door was on my list of must-see destinations. 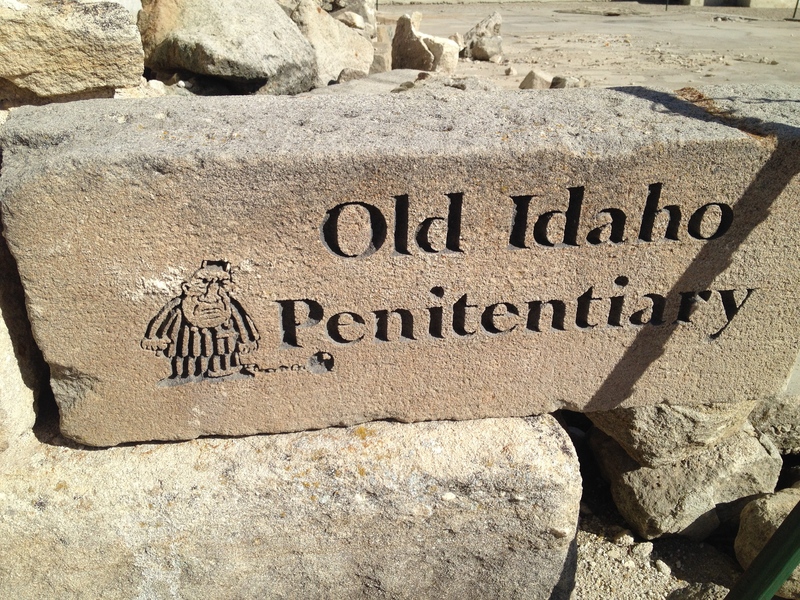 One of four Territorial Prisons open in the U. S. today and designated a National Historic Site, the Old Idaho Penitentiary (1870-1973), now opens its campus and buildings to visitors seven days a week. When I arrived an hour before closing time on a coldish, early-spring day, I was a lone visitor taking what became a sort of eerie self-guided tour around the campus and inside the buildings. As I walked from place to place (looking over my shoulders, uneasy about fully exploring open cells), I found myself imagining how life inside these walls must have unfolded day after day. And coupled with that feeling of loneliness, I also noted the impact of dwindling afternoon light on my mood as I walked among the buildings into open doorways. Slanted rays of afternoon sun formed long shadows, making me wonder what impact the lack of light — as well as the lack of freedom — had on the residents at Old Idaho Penitentiary. Take a walk with me and see for yourself. Do I dare go through these doors? In 1905, male inmates built the wall with its signature tornado-like brickwork on the corners around the old warden’s residence. In 1920, according to the Walking Tour Guide, the permanent structure contained seven two-person cells, a central day room, kitchen and bathroom facilities. Was I glad I went to Old Idaho Penitentiary? Yes. But enjoyment may not be the operative word here. The only other prison I’ve visited is Alcatraz, and I had the same empty feeling there as I did at Old Idaho Penitentiary. Reading the displayed accounts of inmates and wardens helped me put real faces and names into place. But seeing stone and iron-gated exteriors, scarcely-lit interiors, and small, tight rooms made me wonder how prisoners lived day-to-day with so little of what I take for granted. It’s definitely a tour worth your time if you’re visiting Boise. To read more about our travels through Idaho and Washington, click on the Page at the top: Inland Northwest. Thanks! This entry was posted in Destination, Idaho, Museum, Travel and tagged architecture, Boise, Idaho, Old Idaho Penitentiary, prison, prison cell, Territorial Prison, Women's Ward. Bookmark the permalink. Thanks! It was a very interesting place to visit, and the afternoon shadows make me want to hurry up and get back to the hotel! Just glad those weren’t my living quarters! Any ghosts on your tour? The penitentiary was featured on Ghost Adventures, on the Travel Channel, a few years ago. No ghosts, but the whole experience of being there late, almost by myself in those buildings was a little creepy! Glad to hear about the Travel Channel experience. I may see if I can find that to watch. Thanks for telling me! You captured it well! I can relate to the “bleak” feeling. Empty. Thanks so much. You’re right. It was bleak, partly because it was a prison & partly because it was empty. I’m still glad I went. Great pictures, Rusha! You’ve captured the atmosphere of the place splendidly. I’ve never been to Boise so I’ll have to put that on my list of places to visit. Desolate would have been a good word to use somewhere in my blog. 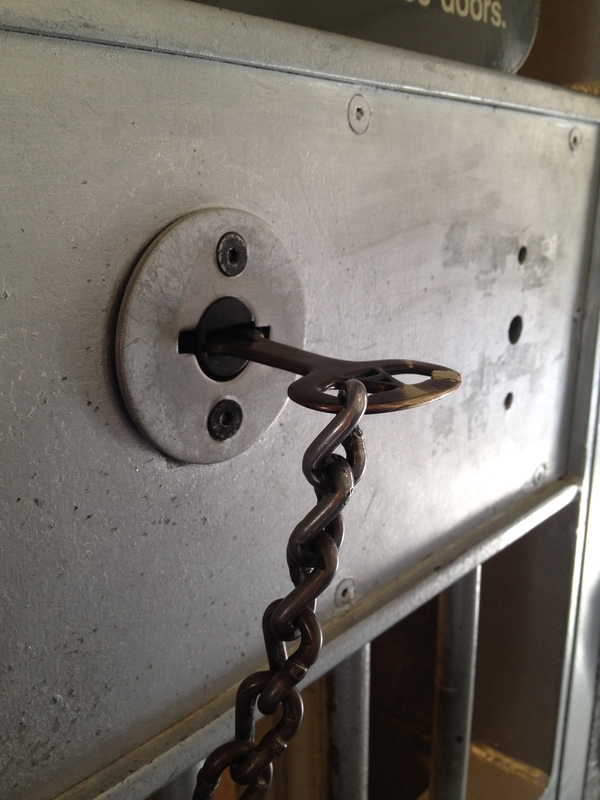 Old Idaho Penitentiary is desolate, but the exhibits and the volunteers/staff make it interesting and bring it to life. Well, sort of. I actually liked the emptiness of the buildings with the cells. That chilling effect is good for me to see and think about. Thanks so much for reading! As I read this I was revisiting our time at Alcatraz…very desolate. I suppose a penitentiary is not to be anything but desolate. Very well done Rusha.